It is great to hear that Illinois has some good defensive specialists coming onboard. Tamas repeatedly stresses the importance of ball control (and not just with the 'smalls'). Rereading the information on Kennedy Collins' change of heart from Bradley to Illinois (before the incredible season we just had), I wanted to give a shout out to what's happening at Bradley University of Peoria, Illinois. Third-year coach Carol Price-Torok has turned the Braves into a title contender in the MVC. She spent the previous eight years at Arkansas, and was elevated to Associate Head Coach there before taking the job at Bradley. Price-Torok has shown herself to not only be a very good recruiter at Bradley, but also a good coach. The MVC needs more strong volleyball programs other than Northern Iowa, Illinois State, and Missouri State. 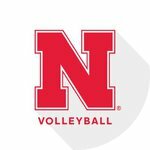 I know there is a Wisconsin Badger fan out there somewhere on Volleytalk who is happy about the development of the Bradley volleyball program. "The suspense Mr. Lies is killing me! "...is Mica Allison transferring to Illinois...or not? I have seen very little of Diana Brown setting on the court, except in pre-match warm-ups. I have also noticed that Coach Tamas has used Brown to meet the refs at the pre-game information session with the officials. It would be quite a competition for setter between Allison and Brown this spring and fall should Allison come to Illinois. How many top setter recruits would be willing to take up the challenge? The benefit, of course, would be to come under the tutelage of a great setter himself, Coach Tamas. Put yourself in the position of the setter who does not win the starting position. Would you stay at Illinois? I have no information on what Allison plans to do but I know that she is at home this week. Given that it is Christmas break now for most universities, that doesn't mean anything of course. If indeed that does happen, why would either one of them have to consider leaving? In 2016, Penn State brought in Detering as a transfer setter and started running a 6-2 with her and Weiskircher. The results were mixed that year (24-10) but in 2017 they went 33-2. Is that so bad? So this is my first season following along intensely, so I'm curious what happens next? What is the typical schedule for Spring ball and when does it get announced? I know they have scrimmages or exhibitions, are those open to the public? will any of the senoirs participate just to help out? I know Jordan has graduated and moved out of town. Anyone know where she is heading? I am aware she plans to compete for the national team but is that like a full time job or what? What’s the deal with Bruna? My understanding is that she will be eligible if she chooses to stay? Anyone know anything about this? I know that she has spent a lot of time at team functions, including practice. She isn't practicing but she attends them. My guess is that she will be with us next year if she is cleared by the NCAA. What is our scholarship situation for next year? It appears that we will have 18 players without Bruna and I believe that we are allowed 12 scholarships. Is there a scholarship available for her? Wow! Love this! So very happy for Jordyn that she can graduate from The University with many accomplishments and great memories. Her journey has not been without some bumps in the road along the way, but the last two years have been so sweet! I and the Illini Nation will miss you dearly...I-N-I! Former Auburn setter Mica Allison transferring to Illinois, per team Twitter. Good get by Coach Tamas! And here comes ALLISON!! Yahoo!! I hope that the photo which shows Rylee's head above the top of the net is not simply camera angle. She really seems to have significantly improved in the past year. It is particularly important that she gets the opportunity to play spring ball with the team and will have our coaches working with her. Is she the first recruit to enroll early since Brandi? I'm really excited about next year. We could be right back in the hunt!